A stolen vehicle has been recovered but all the suspects are still at large after allegedly ramming a San Jose police patrol car and fleeing Monday evening, according to a police spokeswoman. 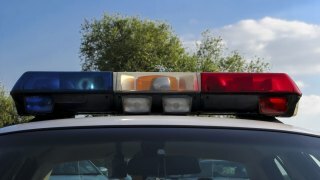 The patrol car was hit shortly after an officer spotted a Chevy Silverado truck that had been reported stolen in the area of Teatree Court and Thornton Way, police spokeswoman Officer Gina Tepoorten said. Police believe that the white Yukon GMC, originally described as a Chevy Tahoe, responsible for major front-end damage to the patrol car was associated with the stolen truck, which was leaving the area as the incident occurred. The Yukon GMC was found unoccupied in the 500 block of Patton Avenue in San Jose on Tuesday morning at 12:41 a.m. When police ran the car through their system, it came back as stolen out of San Jose, Tepoorten said. According to police, the officer in the patrol car was not injured. Police are still searching for the stolen Silverado and a gray BMW that they also believe was related to the incident, Tepoorten said.